Darryl and Harmony Lovegrove. Professional singers for hire for all events. Every now and again, an act comes along that makes everyone in the audience go ‘WOW’! Darryl Lovegrove and his now 18 year old daughter Harmony have been delighting audiences of all generations and demographics at corporate events, gala dinners, awards nights, conferences, private events, charity fundraisers and special events since 2010. Performing a combination of duets and solos, Broadway blockbusters and operatic arias they also present their own unique take on contemporary classics such as Burt Bacharach’s ‘What the World Needs Now’ and ‘Feelin’ Groovy’ by Simon & Garfunkel. Show highlights include ‘The Prayer’, ‘Time to Say Goodbye’, ‘Somewhere’ from West Side Story, Puccini’s ‘Nessun Dorma’ and favourites from some of the worlds’ most-loved musicals. Providing plenty of ‘goosebump’ moments, this truly unique show has something for everyone and will leave them all wanting an encore! In 2012 Darryl and Harmony received the highest accolade in the special events industry when they won ‘Entertainer of the Year’ at the Australian Event Awards. Best known for his portrayal of ‘Jesus’ in Harry M Miller’s Jesus Christ Superstar, Darryl is also a past winner of the Australian Singing Competition and received an Australian MO Award nomination. He has appeared in Les Miserables, Chess, played ‘John Lennon’ in Looking through a Glass Onion and performed alongside Sarah Brightman and Anthony Warlow in The Music of Andrew Lloyd Webber. Darryl is the co-creator of the operatic phenomenon ‘The Three Waiters’ which became a global brand and one of the worlds’ most successful corporate entertainment acts. 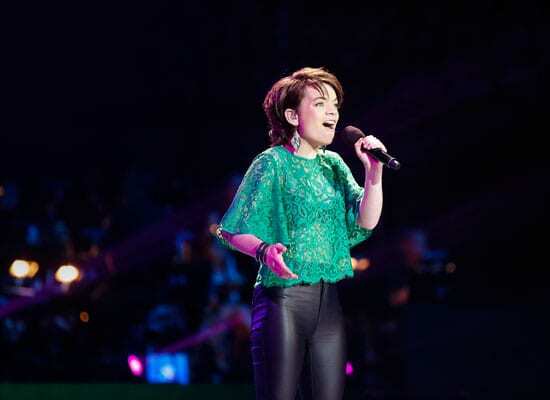 Harmony was a finalist in Australia’s’ The Voice Kids’ and a semi-finalist in Network 10’s revival of ‘Young Talent Time’ where judge Tina Arena compared her to a young Barbra Streisand. She has been chosen as a featured artist every year since 2010 in ‘Schools Spectacular’ and is the youngest artist to be accepted into Sydney’s prestigious Talent Development Project. She has played the leading role of ‘Grizabella’ in Cats and ‘The Narrator’ in Joseph and the Amazing Technicolored Dreamboat, both produced by Packemin Production Company. “Darryl & Harmony’s performance was nothing short of breathtaking. Such was their impact that some of our most reserved guests were in tears. Both performers display impeccable professionalism and charisma. They are incredibly talented in their own right but together they are simply amazing!” – Patrick Tessier, Managing Director Salesfest Advertising & Marketing. “The most glorious voice, perfect pitch, clear as a bell on high twinkling down to a beautiful child’s face. That’s Harmony in full flight. An inspiration of talent. Alongside her dad, they command the room.” – Meg Fisher, Events and Protocol Manager Local Government and Shires Association of NSW. “A stunning performance – you left most of the audience speechless or in tears!” – Grant Williams, Executive Producer A Current Affair. Lovegrove Event Entertainment is an established, award winning boutique production and event entertainment agency. Our founder and director, Darryl Lovegrove, has been in the corporate event industry for 20+ years and is a co-creator and former director of the the global sensation ‘The Three Waiters’, the most booked corporate entertainment show in the world. Lovegrove Entertainment provides professional entertainment acts to all all capital Australian cities including Sydney, Melbourne, Cairns, Brisbane, Adelaide, Canberra, Darwin, Perth and Alice Springs, as well as many regional centres. ♦ The Leading Men are a premier Broadway inspired corporate entertainment act featuring the stars of stage and screen. ♦ Jersey to Motown is a signed, sealed, delivered sure fire high energy entertainment act. 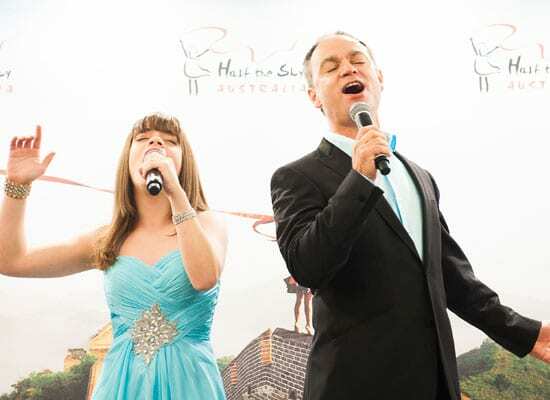 ♦ Darryl & Harmony are a breathtaking father / daughter singing duo offering an award winning performance. ♦ Harmony is an award winning solo singer that gives a exceptional performance every time. ♦ The Love Groovers Party Band are Australia’s number 1 cover band that bring style, elegance, fun and magic to any event. Additionally, our tailor made shows bring your event ideas to life. We can create a custom entertainment act where nothing is impossible. We’d love to hear your event entertainment ideas.